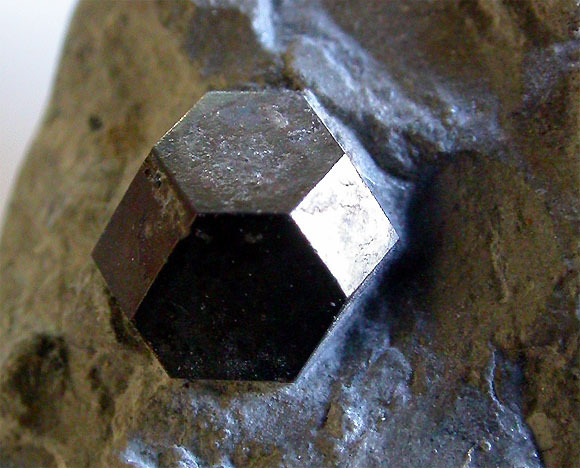 Hauerite: Mineral information, data and localities. 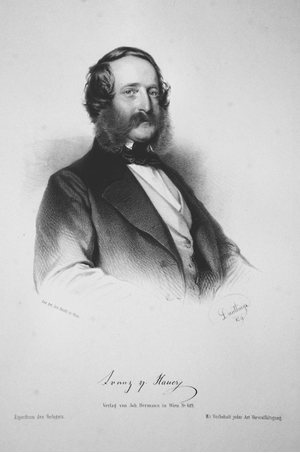 After Joseph Ritter von Hauer (1778-1863) and Franz von Hauer (1822-1899), Austrian geologists. Rambergite 1 photo of Hauerite associated with Rambergite on mindat.org. Haidinger, W. (1846) Ber. Mitt. Freund. Wiss. Wien: 2: 2. 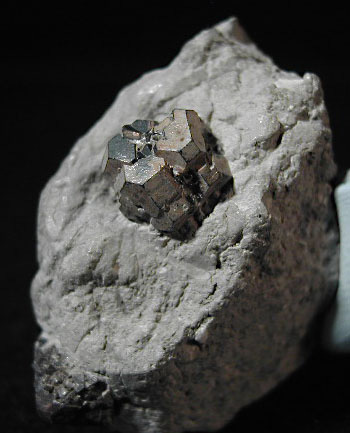 Haidinger, W. (1847) Ueber den Hauerit, eine neue Mineralspecies aus der Ordnung der Blenden. - Naturwiss. Abh Wien 1, 101-108. Onorato, E. (1930) Simmetria e struttura dell'hauerite. Periodico di Mineralogia - Roma pp. 109-137. Palache, Charles, Harry Berman & Clifford Frondel (1944) The System of Mineralogy of James Dwight Dana and Edward Salisbury Dana Yale University 1837-1892, Volume I: Elements, Sulfides, Sulfosalts, Oxides. John Wiley and Sons, Inc., New York. 7th edition, revised and enlarged: 293-294. Abbolito E. (1960) Proprietà ottiche a luce riflessa dell'hauerite e dell'alabandite. Periodico di Mineralogia – Roma pp. 1-8. Doklady Akademii Nauk SSSR (1979) 247: 448. 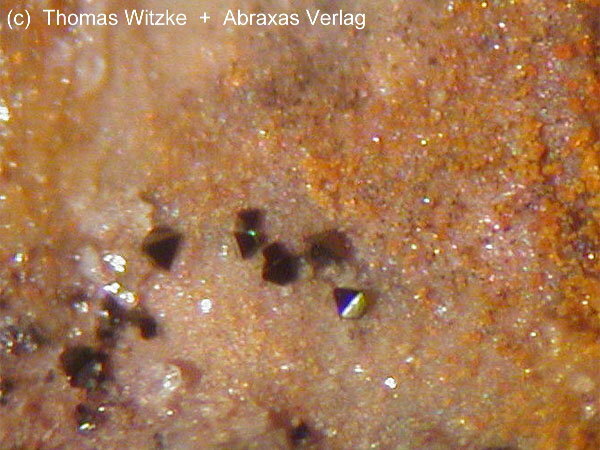 The following Hauerite specimens are currently listed for sale on minfind.com. Scacchi, E. (1890) XII. Sulla Hauerite delle solfare di Raddusa in Sicilia. Giornale di mineralogia, cristallografia e petrografia, 1, 187-189; Scacchi, E. (1890) Ancora sulla hauerite di Raddusa in Sicilia. Giornale di mineralogia, cristallografia e petrografia, 1, 321-322. Aoki (1989) Koubutsu-Gakkai Kou'en-Youshi, 96. Min News 11:8 pp6-8; AM. MINERALOGIST, V. 18, 335-340.